Seated, three-quarter length and wearing the President's badge against a red background. 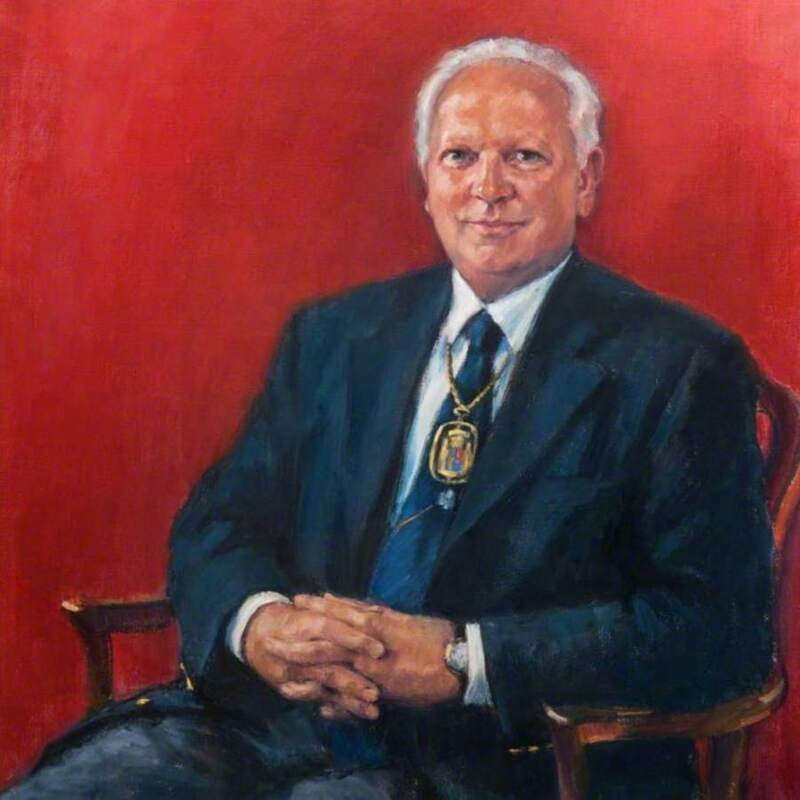 Mackintosh; Anne H. (1944-); Artist, “Portrait of A. Ross Lorimer, President 2000-2003,” Heritage, accessed April 20, 2019, https://heritage.rcpsg.ac.uk/items/show/455. 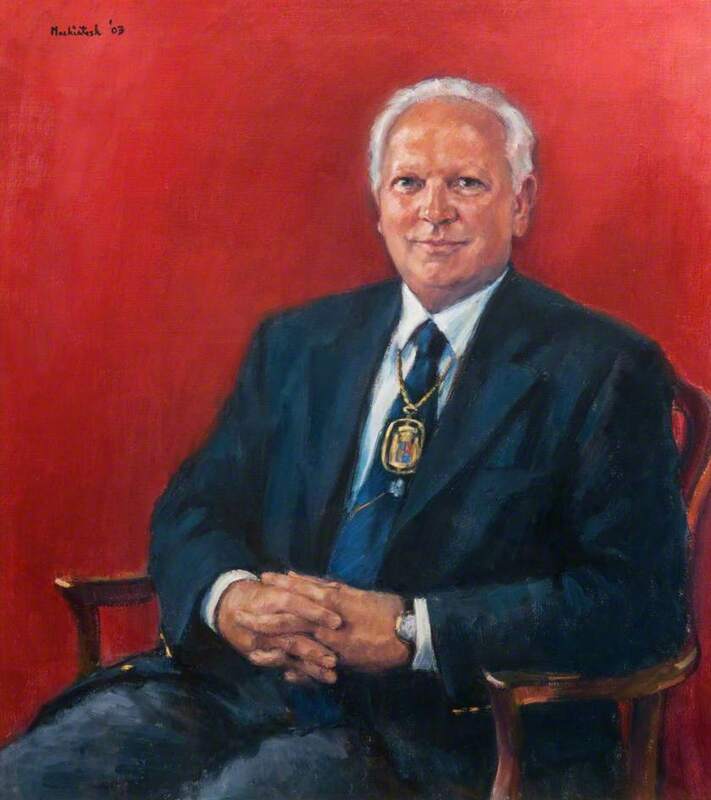 Description: Seated, three-quarter length and wearing the President's badge against a red background.